Today I’m in New Hampshire visiting my son on his 16th birthday at his boarding school, and it’s wonderful to see how happy he is there. We stayed at a beautiful old inn near Littleton, NH, a former 200-year-old dairy farm with stone walls that have been badly overgrown over the years. The new owners are busy clearing away the undergrowth and have managed to reveal several stretches of wall. 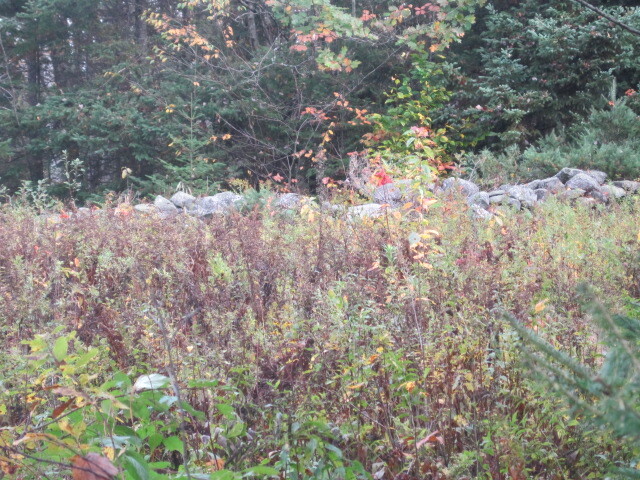 It’s been estimated that at their peak just after the Civil War, there were about 240,000 miles of stone walls in New England, though I haven’t found a more recent estimate. In contrast, England has about 70,000 miles, which seems small in comparison, but in general they’re much better maintained and still in use. Many of the New England walls have fallen down or been swallowed up by new growth forests that appeared when farmers moved to Ohio and other points west for more fertile, less stony ground. 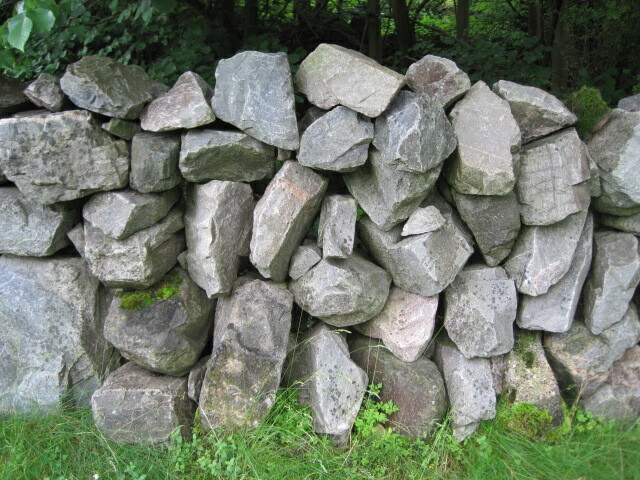 A typical Highland Scottish wall. Note that it’s only one boulder wide, and that the boulders themselves are immense. This type of wall is also seen in North Wales and Dartmoor. Both walls use huge boulders as single stones, both tip the stones slightly downward so the water drains off, and both have slight “gaps” between stones which is believed to help keep sheep in the field. 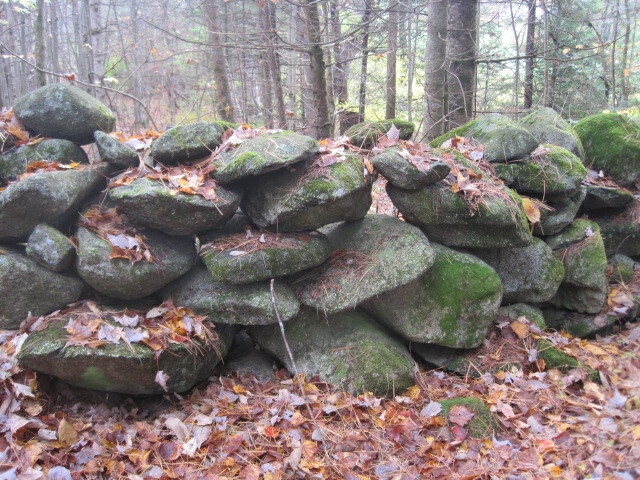 Clearly the person who built the New Hampshire stone wall 200 years ago knew how to work with huge boulders–perhaps a new immigrant to America from Scotland, North Wales, or Dartmoor. Thanks for reading this post about one of my passions which, luckily for me, can be found in both England and its namesake, New England.